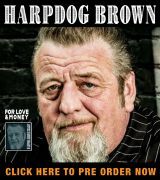 Most Blues Blast readers are familiar with Tim “Too Slim” Langford, the guitarist that fronts the band Too Slim & the Taildraggers. The group has been nominated for several Blues Blast Music awards and received praise for a number of their recordings on Underworld Records, Langford’s label. 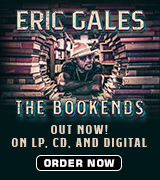 Other bands that have released albums on the label include Jim Suhler & Monkey Beat, Jason Elmore & Hoodoo Witch, Lloyd Jones, and Becki Sue & Her Big Rockin’ Daddies!. 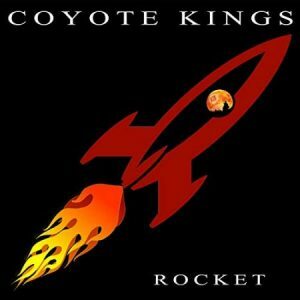 The label’s latest release features the Coyote Kings, a veteran band from the Eastern part of Washington. Lead by noted guitarist Robin Barrett, other members include Gordon Townsend on drums, Kit Kuhlmann on bass, and Tiphony Dames on lead vocals. The all-original program was written by Barrett, who also produced the project. The blazing opening track, “Mojo Run,” packs a punch with Dames declaring her freedom over a howling guitar and pulverizing rhythm. “Break Free” has a grinding pace with Barrett on lead vocal, his guitar spitting out licks with a nasty tone that energizes a tune that rocks the blues into submission. Barrett is in command once again on “Blind,” a brief number with the singer relating his preference for remaining oblivious to the world around him. The lighter, melodic side of his guitar playing is showcased on “Song For Shaman,” as he spins out telling, fluid lines, never allowing the instrumental to digress into the shredding mode. Kelin Kreider guests on bass guitar. Originally from Harlem, Dames quickly made an impression on local fans once she relocated to the West Coast. She was the recipient of the 2016 Empire Award for Best Female Blues Performer, from the Inland Empire Blues Society. The following year she released a disc under her name with backing by the Coyote Kings. She weaves a tough tale on “Drive Me,” making it clear that she has fallen hard for a certain man. Diego Romero sits in on guitar and Nate Miller blows a rousing saxophone solo. “All Tangled Up” takes the band into funky territory as Dames belts a saucy invitation to get physical. Miller gets another opportunity to give the reed on his sax a honking workout. Her voice falters a bit on “Trusted You, “ but Barrett eases the despair on the tale of unfaithfulness with some Robert Cray-like picking. “Shakin’ It” is a rocking tribute to dancing and enjoying life “…on the wrong side of town”. Her best performances come on two slow blues. Miller’s sax frames her despondent narrative on “Baby’s Gone”. Dames takes her time, balancing on the emotional precipice, fighting hard to keep pain at bay. “Well Run Dry” strikes a similar chord, seven minutes of the singer brooding over failed love until Barrett steps in, building his solo to the point of dynamic release, at which point Dames returns to restate her anguish one more time. Barrett is an accomplished guitarist equally comfortable in blues or rock modes. Combined with the potent vocals from Miss Dames and solid songwriting, this effort definitely rises above many releases of a similar nature. Fans of Too Slim’s musical approach will certainly want to check this one out.